The timing belt is a crucial component of your Nissan’s engine. It is responsible for regulating the camshaft and crankshaft, which operate on precision timing, alignment, and coordination. If your timing belt stretches, slips off, or snaps, it will result in the immediate, complete shutdown of your car, truck, van, or SUV. It may also result in serious damage to other parts in your engine. To avoid issues such as smashed pistons, bent valves, and costly repairs, it is important that you have your timing belt serviced and eventually replaced before it fully wears out and fails you. Material Loss – Belt wear is just like tire wear in that it loses traction. The timing belt can slip off, leading to engine failure. This is more likely to happen during high load use (pulling a trailer or caravan) or in wet weather. Belt Abrasion – This normally occurs when there is a tensioner or pulley misalignment, excessive heat or bearing failure. Your belt’s edges will have worn down to the filaments inside. Cracking – You’ll see excessive cracks on the topside and underside (rib cross-section). Glazing – This is when the timing belt has a shiny or glossy appearance on the underside. It means the belt has gone stiff and isn’t providing the necessary flexibility to function properly. Piling – Your timing belt will naturally lose material over time. This substance can build up in the rib cross-sections, causing belt noise and excess vibration. Hydroplaning – This occurs when water cannot be dispersed away from the warm belt and pulleys. The belt then hydroplanes on water between the belt and pulleys, which causes a loss of power to engine accessories. 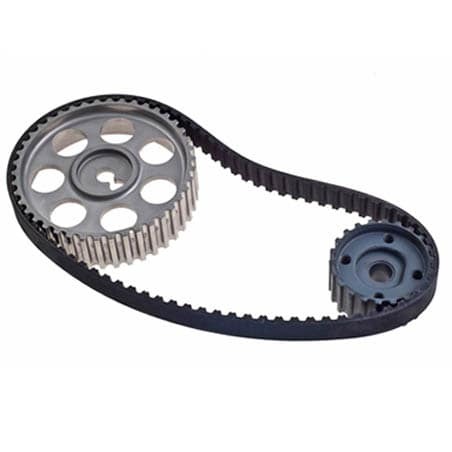 Elongation – Material loss on your timing belt can also change the effective length of the belt, moving the tensioner beyond its take-up limit. This will reduce overall tension and, consequently, performance. Misalignment – This type of wear indicates that the tensioner internal components may have failed. This will result in a high level of noise, vibration, and excessive heat. 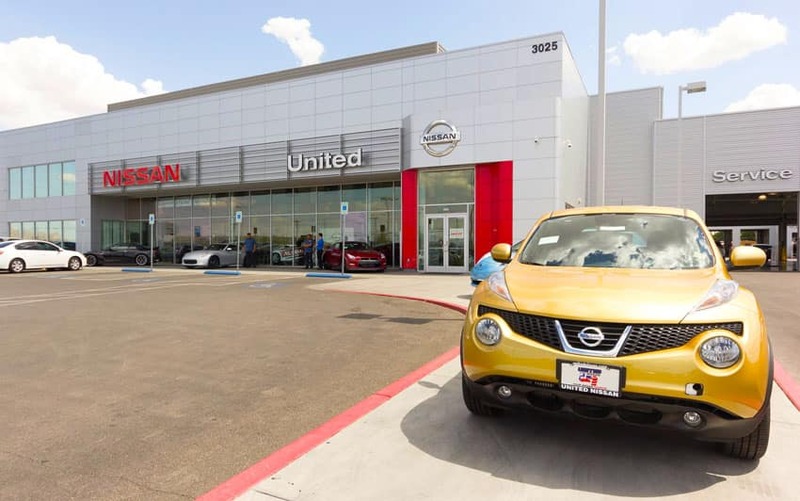 Here at United Nissan, we are dedicated to keeping your Nissan running as it should. If you’re a Nissan owner in the Las Vegas area, there’s no place better to have your timing belt repaired or replaced. Our Nissan Certified Technicians know your vehicle inside and out. No other aftermarket shops will be better prepared or equipped to assess the damage to your timing belt and determine the proper course of action to get you back on the road safely. If you have an Altima or Maxima, be sure to click the previous links for more info on their specialized Timing Belt services. Schedule service online or call (855) 355-5041 to speak directly with a member of our service team. Trust United Nissan with all your Nissan Timing Belt needs!